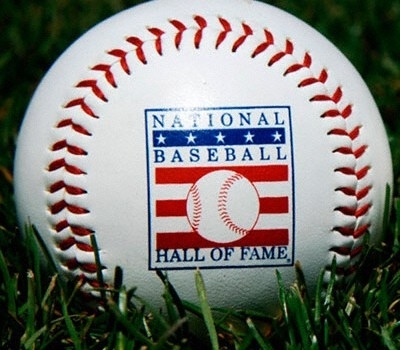 Last year I posted my own votes for the Hall of Fame, and although I’m not as excited about any of the candidates as I was then, I thought I’d put up my votes again. There is no inner circle Hall of Famer like last year (Junior! ), but a good number of worthy candidates, as well as a couple of should-be-inner-circle unworthy candidates. Note that after each name in their career WAR. Mike Mussina (83.0), Curt Schilling (79.9), Jeff Bagwell (79.6), and Tim Raines (69.1). They should all four already be in. The fact that Schilling will probably get less votes than last year, simply for political incorrectness, is a shame. Ivan Rodriguez (68.4). Yes, I know there are steroid “whispers” about him. But that was the case for Piazza and I thought he should get in as well. There is a difference, at least in my mind, between those who are obvious users and those who are just simply suspected of steroid use. Vladimir Guerrero (59.3). You had to see him to appreciate the unique talent that was Guerrero. He was fast, had a cannon for an arm, and could literally hit hard anything pitched within ten feet of him. Last year I didn’t think Larry Walker (72.6) and Edgar Martinez (68.3) were worthy. Now I do. I’m not sure when or why I changed my mind, but in the past year I’ve come to think of them as Hall-worthy. Trevor Hoffman (28.4), Lee Smith (29.6). Sorry, no modern closers not named Mariano in the Hall. Their sub-30 WAR speaks (or, more accurately doesn’t speak) for itself. Barry Bonds (162.4), Roger Clemens (140.3). Obviously generational talents, but also just as obviously steroid-users and thus cheats. I’m also rejecting Manny Ramirez (in his first year of eligibility) for the same reason. What’s sad is that those ridiculous WAR numbers for Bonds and Clemens would still be incredible even if you take out their later steroid years.